Managed Hosting covers a range of projects, large and small, for your organization or community. Are you trying to run a digital project that's not supported in a Shared Hosting environment? Managed Hosting is the way to go. 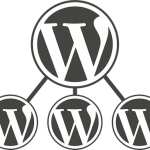 Power your growing WordPress Multisite instance with a company that is a leader in web hosting for higher education. Reclaim has partnered with the Commons In A Box project to power your CBOX install on our network. Disaster recovery starts with a robust backup and restoration service. Reclaim Hosting utilizes the R1soft platform for full block-level backups of all files and databases on the server captured nightly and stored for 30 days on a secure offsite server. At Reclaim Hosting we utilize a variety of security measures to ensure your content is safe. A robust firewall prevents server access to only those who need it at the right ports. BitNinja, a distributed blacklist, prevents known malicious traffic from communicating with your server while allowing you to whitelist IP ranges and prevent common false-positives. CSF is an industry standard server firewall utilizing advanced IPTABLES rules that can block malicious traffic to non-standard ports as well as connection tracking and temp/perm block settings. User-controllable IP address and range whitelisting is available to ensure a reduced number of false-positives. All servers are provisioned as virtual systems at Digital Ocean which provides major performance benefits that set it apart from other data centers. Servers are easily scaled up and down on-demand as growth necessitates. Newer distributed block storage options allow for large flexible disk mounts that can be moved between servers. Solid State Storage means fast performance for your community. Reclaim Hosting is a service provider of the InCommon Federation and can also provide metadata for direct Shibboleth integrations. LDAP-based authentication using Active Directory as well as ADFS via Shibboleth. Use the calculator below to determine the monthly estimated cost of your Managed Hosting instance. Reclaim Hosting has been essential as we’ve built a multisite environment that’s reached over 30,000 blogs and continues to grow. We needed a flexible partner who’d help us figure out how to make things work rather than asking us to adapt to their needs. Reclaim continues to deliver on that promise.